SKU: B55523-BRT Categories: Halloween, Garland, Day of the Dead, Mexican Fiesta, ON SALE! The Bright Drop Fringe Garland is a fun way to add some colour to your party space. It works really well with our Day of the Dead party theme! 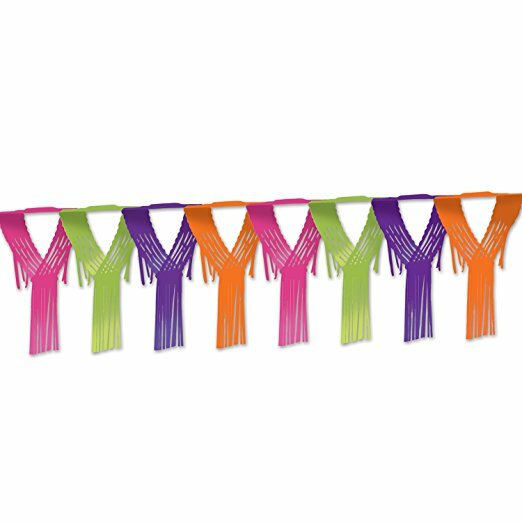 This tissue garland contains the colours green, purple, orange and cerise (bright pink). Some assembly is required but everything you need is contained in the pack.